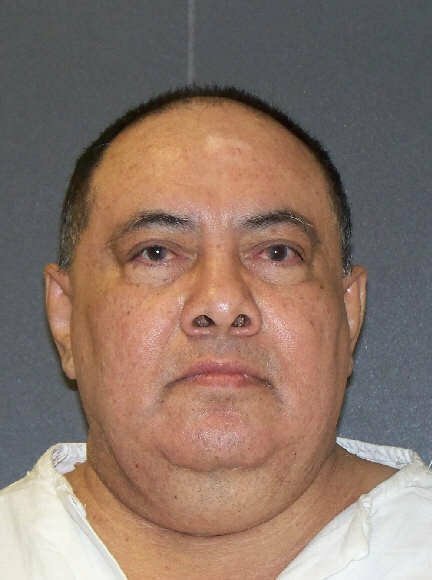 Robert (Roberto) Moreno Ramos has been executed by the state of Texas on Wednesday, November 14, 2018. He was pronounced dead at 9:36 pm CST, inside the Walls Unit execution chamber at the Huntsville State Penitentiary in Huntsville, Texas. His execution was delayed several hours due to appeals. Robert was 60 years of age. He was executed for murdering his 42-year-old wife Leticia Ramos and their two children, 7-year-old Abigail and 3-year-old Jonathan, on February 7, 1992, in Progreso, Texas. Robert spent the last 25 years of his life on death row in Texas. Robert is a Mexican national and was born in Aquascalientes, Mexico. He allegedly had a difficult childhood and was abused. He did not graduate from high school, dropping out prior to his senior year. Prior to his arrest, Robert worked as an aide for a disabled man and his family. In November 1991, Robert Ramos began having an affair with Marisa Robledo. Marisa has stated that she did not know Ramos was married, as he had told her that his wife Leticia was a widow that he was helping to support, along with her children Jonathan and Abigail. In reality, Leticia was Robert’s wife and Jonathan and Abigail were their children. The affair continued and eventually, Marisa wanted to get married. Ramos agreed and they set a date for February 10, 1992. On February 7, 1992, Ramos returned to the home he shared with his wife. A neighbor heard a female screaming and swearing from the house. When church members visited the family in the next couple of days, Ramos stated that they were moving to California and were too busy to say goodbye. On February 10, 1992, Ramos and Marisa were married. Over the next two months, Ramos gave conflicting accounts of where his missing family had gone. Eventually the police were notified. Ramos was questioned by the police on March 30, 1992. He was then arrested for various traffic warrants. On April 6, 1992, police searched Ramos’ home, discovering extensive blood evidence. Additionally, all toys and clothing belong to the missing family members had been placed in the attic. Police discovered the bodies of the Leticia, Abigail, and Jonathan, under the freshly tiled floor in the bathroom. It was determined that they had all be killed by blows to the head with a blunt object, such as a hammer. Ramos initially told police officers that he had returned home and discovered the bodies, believing that his wife had killed the children and then herself with a hammer. Analysis of the injuries showed that it was very unlikely that any of the injuries were self-inflicted. During the trial, Ramos’ then-19-year-old son Osmar testified that he was verbally, physically, and emotional abused by Ramos, and that he witnessed Ramos abuse his mother every month. Other witnesses also testified to Ramos’ violent and abusive behavior. Ramos was convicted and sentenced to death on May 6, 1993, for their murders. Please pray for peace and healing for the family of Leticia, Abigail, and Jonathan. Please pray for strength for the family of Robert Ramos.